Let’s face it—the male spirit thrives on being seen as powerful. We men are terrified of being called weak or a loser. We know that we are graded and evaluated in society by how we project strength, and there are various ways we can do that: exhibiting physical strength, demonstrating mental sharpness by achieving graduate degrees, accumulating money, or by a lofty position in the business world. Women often identify themselves by their relationships. A man needs to feel proud of his accomplishments. Guys, of what are you proudest? Are you proud of the right things? “This is what the Lord says: ‘Let not the wise man boast of his wisdom or the strong man boast of his strength or the rich man boast of his riches, but let him who boasts boast about this: that he understands and knows me” (Jeremiah 9:23,24). Taking care of your body, accumulating wealth, nailing the corner office, or attaining a PhD are all wonderful things, but they will not satisfy unless you are connected with your God through your Savior Jesus. You are nothing without him. You are everything with him. 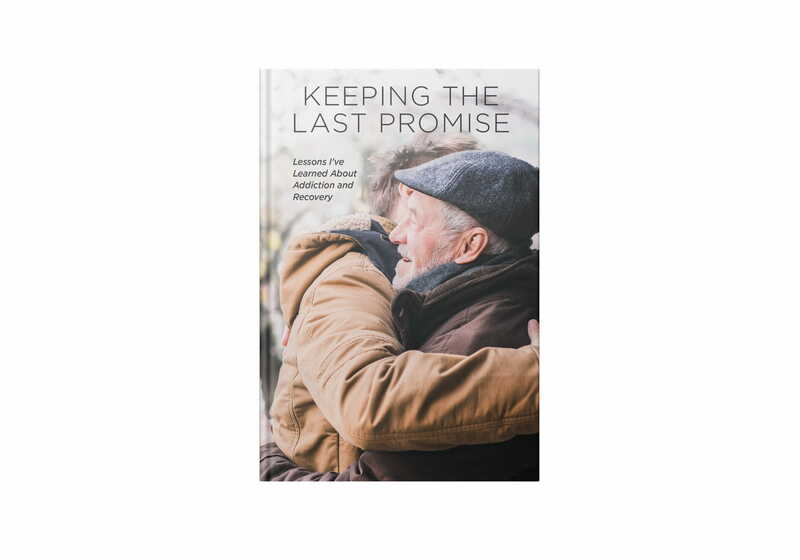 Keeping the Last Promise: Lesson I’ve Learned About Addiction and Recovery is an authentic, heartfelt account that was born from a father’s own personal journey to rescue his son from the power of addiction.